Frequency Asked Questions. Please ask us anything you are wondering! Is there any precautions before installation? – Please avoid the external shocks, rapid beat and extreme tightener. – Please keep it at room temperature storage and avoid direct sunlight. – If the wire is wound as reel type (without spool), please release it from the inside. You can use it without loss. – You must avoid the pressurized conditions to the wire. ex) When you install it in the place pressed by a load or something, it may be damaged due to the weight. Please install the cable surface avoiding pressure or force. – If the wire installs in high frequency environment, you should inform us in advance. We need to check the surroundings’ conditions. Can the users replace only 'Heat Detector Wire' in existing installed systems? Yes, they can. most of customers have used it and want to replace only ‘Heat Detector Wire’ because the fire system excluding the wire is OK. Many of them have selected YDK HDW and saved their maintenance costs. YDK HDW is much cheaper and high-end quality compared to German-made, Japanese-made & USA-made. What application is YDK Heat Detector Wire for ? It is used for following places. Yes, it is more than 10,000m per shipment. If we have stock, we can supply you small volume. How many kinds of product class regarding temperature do YDK have? How does it find the disconnected point where the heat occurs? We provide you ‘Ω/km’. If the specific part gets heat, the two wires’ insulation is melting rapidly which means occurs shorts. From both ends of the system, you can see the disconnection point by reduced resistance value through the inversion calculation based on initial default value. How is it installed with cable? It is installed like ‘a) sinusoidal-pattern’ or ‘b) side by side’ as following. Does it withstand high voltage? If you request us, we conduct high voltage test pursuant to 60092-350 IEC:2008(E) as following. The test shall be made on sheathed cable where there is a metallic layer under the sheath. The whole length of the completed cable as delivered shall be spark-tested (see 5.2.3.7). 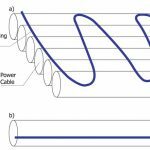 Unless otherwise stated in the applicable product standard for the cable, the values of the test voltage for the standard rated voltages are given Table 2. Note: The value for enhanced insulation thickness are given in the product standard. 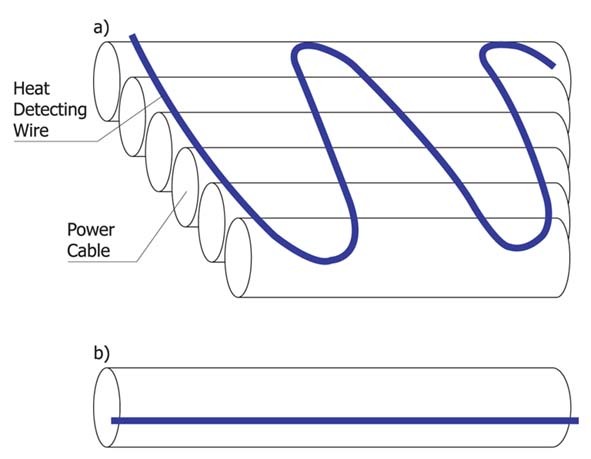 DC testing is not recommended for cables with rated voltages > 1.8/3Kv. Lots of global companies have selected YDK Heat Detecting Wire during the past 10 years and they have satisfied with the our quality and price. We have built the customer’s confidence and trust regarding the YDK Heat Detector Wire. In addition, we will consistently follow you through our professional and ensured team workers using global networks on our products. We are sure you will be satisfied with our staff well educated.